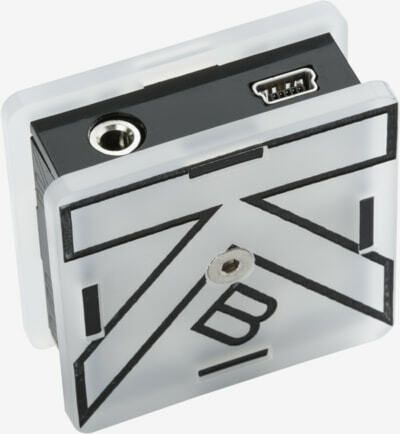 Please note it is designed to only transmit clock / trigger / gate information. Its output is either low or high 0 or 5V. It doesn't output continuous CV signals. 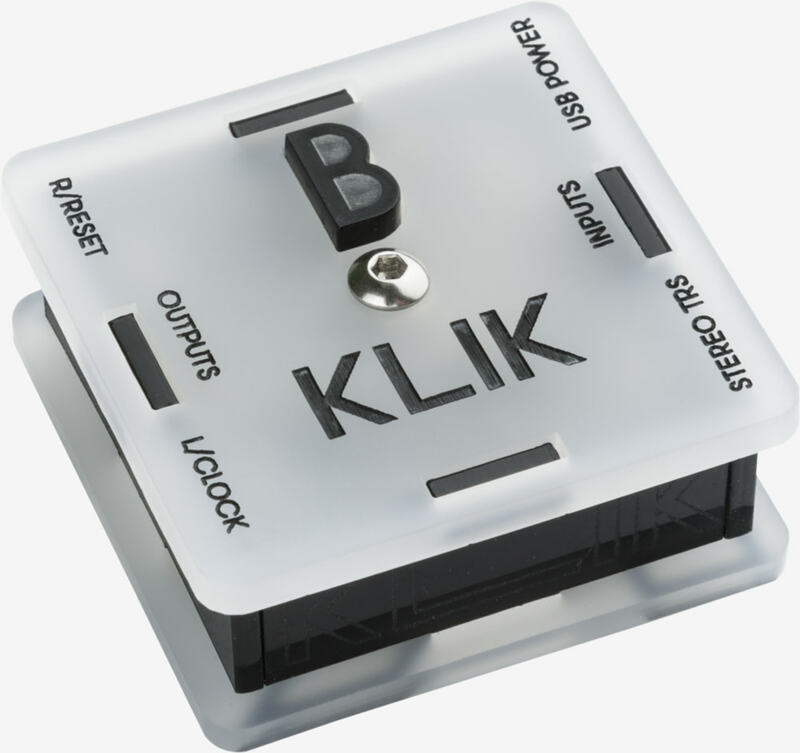 Version 2.0 and further has built in HW CLOCK device that we collaborated on and which is meant to be interfaced with the KLIK. There is a simple method of sending pulses from a drum machine, see Ableton project below. I am sure someone will make max for live object for this which will be even better – already talking to somebody about that. 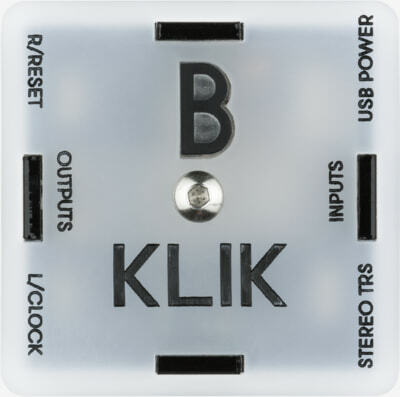 You can build your own Klik with our DIY kit. Go through the complete assembly guide below and make sure that you understand all the steps. We’re NOT suggesting you to stop using midi clocks! They’re awesome for a lot of stuff, but sometimes other methods are more suitable. So what is the advantage of audio clock in comparison to midi clock? Well midi clock is a protocol where there are 24 clock messages sent in the duration of one quarter note. Which is 6 messages every 16th note. Each of these messages takes about quarter of a millisecond to transmit in the serial line at defined speed of the MIDI protocol. 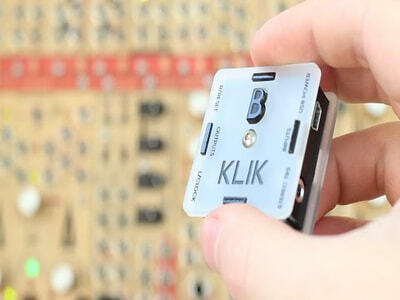 MIDI clock works great for most of the stuff, but converting it to analog clock requires another device with micro computer in it which converts the serially transmitted message to the pulse information. At the beginning of the process the computer has to determine when is the right time to send the midi clock. It then goes into a queue of midi messages and is transmitted as soon as possible. On the side of the receiving device the clock has to be interpreted and calculated to see what is the response of the device to the clock. That is a lot of computational work for information that is of a binary character saying simply “NOW”. With synchronising through audio all that stuff is being skipped. 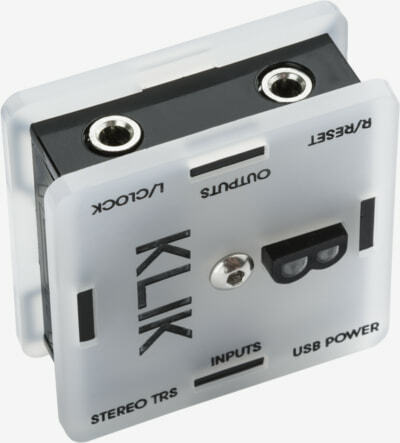 The audio processes in the computers are rather high priority because even a slight shift of a quarter millisecond between the audio channels can cause phasing artifacts. Besides that the MIDI clock cannot be shifted back and forth (common feature audio track delay / pre-delay) and most likely is not the best idea to put groove on it.